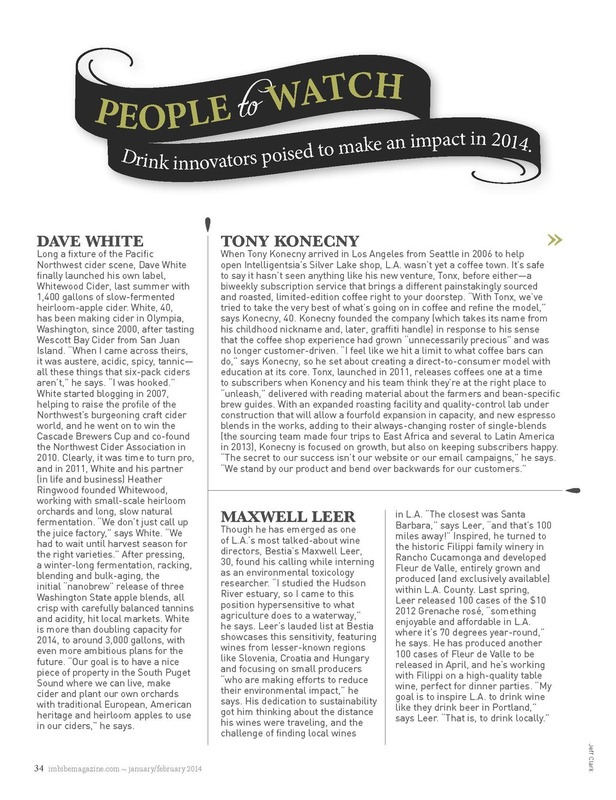 Whitewood Cider's Dave White featured as one of the Imbibe 75 for 2014 — Whitewood Cider Co. 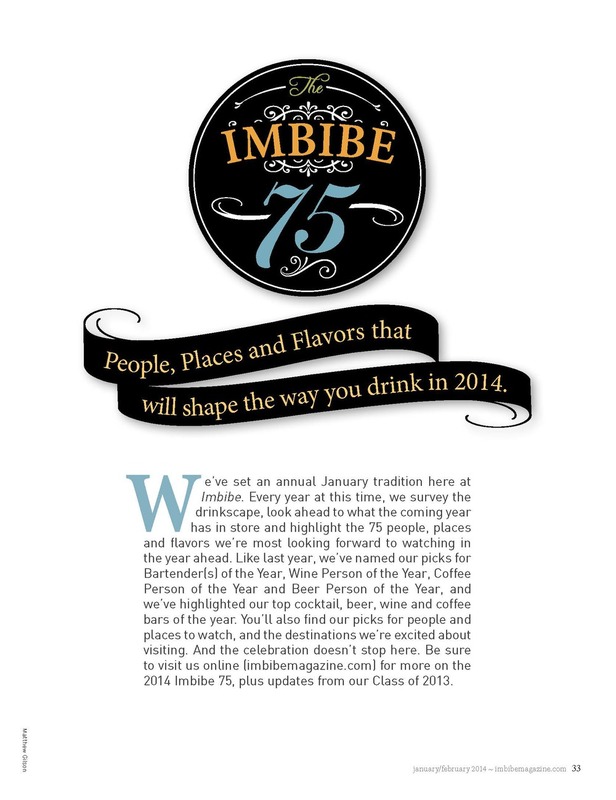 It is with great pride that I announce that David White has been selected as one of the Imbibe 75 . Imbibe magazine is on the leading edge of what is happening the beverage world. Being the beverage lovers that we are, Imbibe has always been the magazine subscription that gets renewed at the beginning of every year and gets saved for future reference. So, it was a thrilling surprise to learn that Dave had been selected, in the words of Imbibe, as one of the "top picks for the people, places and flavors that will help shape the way we all drink in the year ahead." While I couldn't agree more, I am slightly biased... I am happy to see that a publication, such as Imbibe, agrees with me. Dave has had a long standing passion for Cider and Cidermaking. He is one person who has turned his dreams into a reality with the creation of our small business here at Whitewood Cider. Many know that his expertise exceeds the bounds of this endeavor with his work in graphic design, the development of the NW Cider Association and the blog, OldTimeCider.com. I know that this selection will continue to drive his passion. He is committed to putting specialty, craft cider on the map. Thank you all for your encouragement, involvement and support. We couldn't do it without you.